Children who eat fish at least once a week sleep better and have IQ scores that are 4 points higher, on average, than those who consume fish less frequently or not at all, according to new findings from the University of Pennsylvania published this week in Scientific Reports, a Nature journal. Previous studies showed a relationship between omega-3s, the fatty acids in many types of fish, and improved intelligence, as well as omega-3s and better sleep. But they’ve never all been connected before. This work, conducted by Jianghong Liu, Jennifer Pinto-Martin and Alexandra Hanlon of the School of Nursing and Penn Integrates Knowledge Professor Adrian Raine, reveals sleep as a possible mediating pathway, the potential missing link between fish and intelligence. For the work, a cohort of 541 9- to 11-year-olds in China, 54 percent boys and 46 percent girls, completed a questionnaire about how often they consumed fish in the past month, with options ranging from “never” to “at least once per week.” They also took the Chinese version of an IQ test called the Wechsler Intelligence Scale for Children-Revised, which examines verbal and non-verbal skills such as vocabulary and coding. Their parents then answered questions about sleep quality using the standardized Children Sleep Habits Questionnaire, which included topics such as sleep duration and frequency of night waking or daytime sleepiness. Finally, the researchers controlled for demographic information, including parental education, occupation and marital status and number of children in the home. Analyzing these data points, the Penn team found that children who reported eating fish weekly scored 4.8 points higher on the IQ exams than those who said they “seldom” or “never” consumed fish. Those whose meals sometimes included fish scored 3.3 points higher. 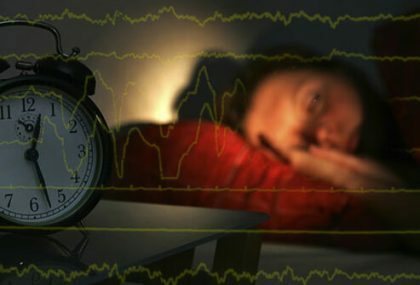 In addition, increased fish consumption was associated with fewer disturbances of sleep, which the researchers say indicates better overall sleep quality. Pinto-Martin, who is executive director of Penn’s Center for Public Health Initiatives, as well as the Viola MacInnes/Independence Professor of Nursing and a professor of epidemiology in Penn Medicine, sees strong potential for the implications of this research. “It adds to the growing body of evidence showing that fish consumption has really positive health benefits and should be something more heavily advertised and promoted,” she said. “Children should be introduced to it early on.” That could be as young as 10 months, as long as the fish has no bones and has been finely chopped, but should start by around age 2. Given the young age of this study group, Liu and colleagues chose not to analyze the details participants reported about the types of fish consumed, though they plan to do so for work on an older cohort in the future. The researchers also want to add to this current observational study to establish, through randomized controlled trials, that eating fish can lead to better sleep, better school performance and other real-life, practical outcomes. For the moment, the researchers recommend incrementally incorporating additional fish into a diet; consumption even once a week moves a family into the “high” fish-eating group as defined in the study.